Stockholm is one of the culinary capitals of Northern Europe. There are all manner of restaurants to try in Sweden’s capital – including nine restaurants with Michelin stars! However, if you are looking for something a little more low-key, and you don’t have time for a full sit-down meal, there are a number of brilliant delicatessens to try out. Whether you want a sandwich, a salad or something more exotic, you can find it in all Stockholm’s delis. Here are ten of the top choices. One of Stockholm’s best-loved and most-visited places to get lunch, Urban deli is a chain that looks to combine a restaurant, a café, a food hall and a supermarket. They have a similar ethos to Wholefoods (an American supermarket chain), aiming to serve only well-sourced and healthy products that are of the highest possible quality. In all of their locations you can pick up a range of pre-made lunches or buy your own ingredients and have a picnic. You can also grab a coffee or have lunch in their restaurant. Particularly worth visiting is their Sodermalm location, which is in the beautiful Nytorget, with a small park you can eat in, and their Sveavagen store has a roof terrace with breath-taking views! As their name suggests, The Hairy Pig is a place to skip if you are vegetarian, but if you love high-quality meat then it is an excellent place to grab a bite. This deli specialises in sausages and pulled pork, but also has excellent salmon which they home smoke themselves. It also has a great restaurant attached to the shop if you want to sit down to eat. Located in Stockholm’s Old Town, Gamla Stan, it is easy to find and in one of the most charming areas of the city. If you aren’t sure exactly what you want, then getting a number of small dishes can be the best solution, and Babel offers just that. They specialise in Middle Eastern mezze, with an extensive takeaway menu. They aim to produce dishes that are quick but also healthy, tasty and of the highest quality. Babel Deli is right around the corner from Observatorielunden park, which is the perfect spot to enjoy your food in. Another of Stockholm’s specialist delis, Grondals focuses on providing excellent Persian food, with twenty different small dishes that can be mixed and matched. These include vegetarian, pork and beef dishes, which you can take away. 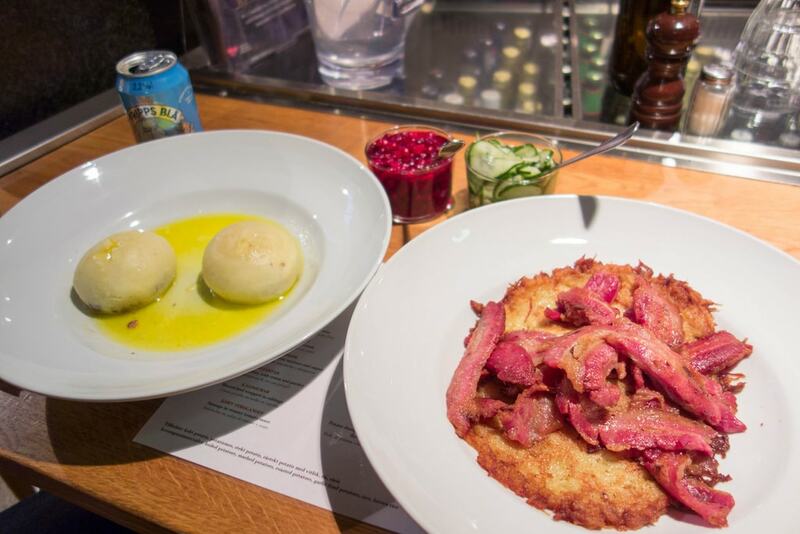 Alongside these small plates they also have bread, salads and pierogi-style dumplings. The deli is a little outside the centre of the city, in Grondahl, but it is right by the art gallery Fargfabriken, which is well worth a visit. So you can combine a great lunch with a visit to one of Stockholm’s top-notch galleries! Bon Appetit magazine named this food hall the world’s seventh best in 2007 – and it’s easy to see why. Opened way back in 1888 this renowned food hall is committed to being one of the best places in Stockholm to get simple, excellent food with high-quality service. It has both stores and restaurants depending on if you want to grab and go or have a quick sit-down meal. The main hall is currently being renovated and will re-open in 2019, but its smaller building in Ostermalmstorg remains open. When you visit you’ll see that exactly why it’s remained opened for almost 130 years. Persian food is the name of the game at this Stockholm deli. This food is cooked straight from the heart and made with local, fresh produce. It is in Ostermalm, one of the most leafy and upmarket parts of the city. They have even signed up with foodora (an online delivery service), so you can have your food brought to you. 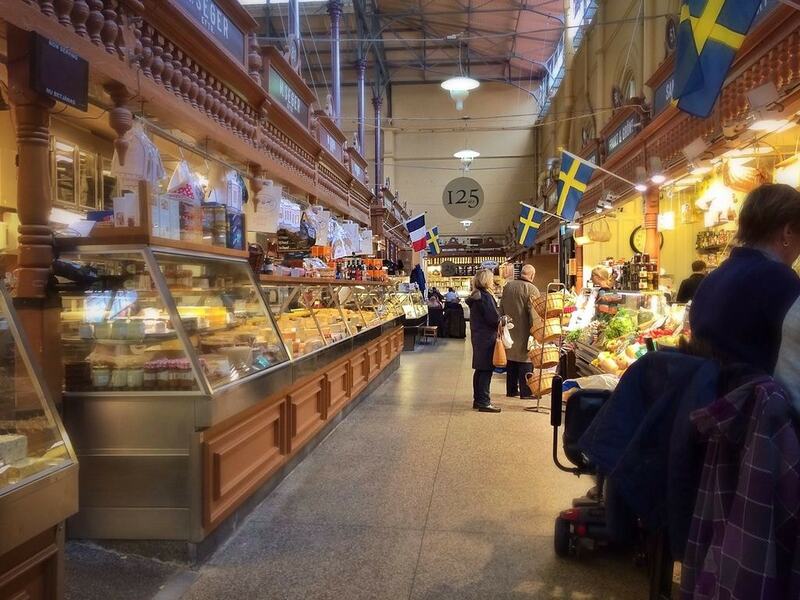 Located within the aforementioned Östermalms Saluhall, Husmans brilliant home-cooked meals are complemented by their selection of bread, cheeses and cured meats. As with other delis on this list, it has a sit-down as well as a takeaway menu, making it the perfect place whatever mood you are in. The name of this translates to ‘four women and a deli’, and the women in question make some of the most wonderful takeaway dishes in Stockholm. They have a salad bar, where you can customise and make your own salad, and a choice of tasty wraps. They also serve a set lunch menu, which includes six of their twelve different small dishes as well as a drink. It is two streets away from Arstaviken, a lovely pier where you can sit and enjoy your food. Another exquisite food hall located right in the centre of the city. At Hortorgshallen, you can sample food from Turkey, Germany, Sweden, England, Italy and Peru, among many others. It even has a systembolaget alcohol shop, just in case you need to pick up a beer or a bottle of wine for the road. Ost & Chark import the majority of their produce from France, Spain and Italy. 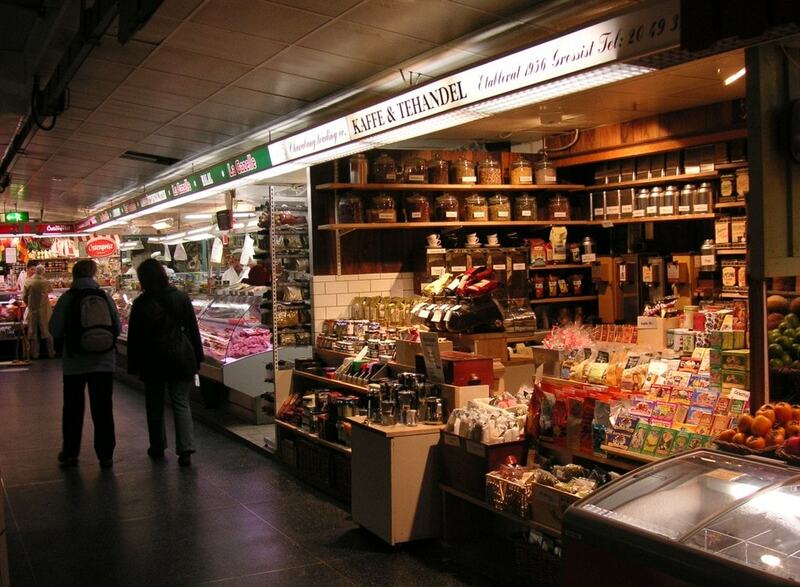 They boast over one hundred different kinds of cheese, and a huge selection of meats, as well as a central location on Birger Jarlsgatan. If you are a true cheese and meat connoisseur, then this is the place for you.